Verizon Wireless is planning on bringing a new cell tower to Frisco to help alleviate concerns over service. Relief may finally be on its way for Frisco residents frustrated with their cellphone service over recent months. Verizon Wireless recently put in an application to construct a new cell tower in town. While a timetable for the new tower is currently up in the air, Verizon says that it’s cognizant of the issues plaguing Frisco and is working closely with the town to remedy concerns. 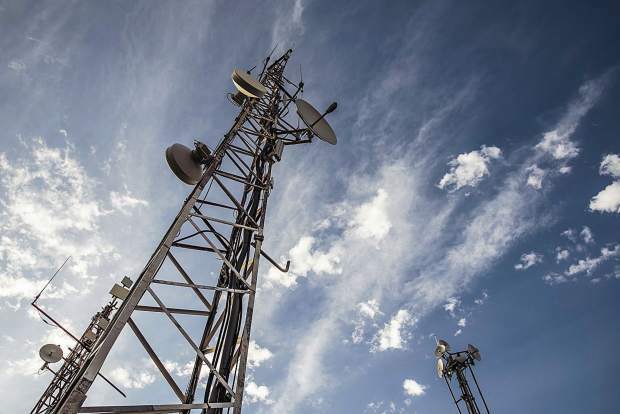 Lackluster cell service has been a concern in Summit County for years, but problems escalated this April when there was a seemingly severe drop in coverage in Frisco. Representatives with the town have been in contact with Verizon in regards to the issue for months to try and determine the problem. According to Verizon, the problem is a matter of network traffic, likely due to major increases in people in the county during heavy tourist seasons. Though some town officials are unconvinced by Verizon’s explanation, pointing to continued spotty service during the county’s offseason. Van Dinter stood behind the company line, but noted that network traffic is a two-edged sword. He explained that network capacity can be affected by the number of devices connected to a tower at any given time, but also by the amount of data being used on the network at any given time. He may have a point. According to a study published in June by Ericcson — one of the world’s leading information and technology providers that carries 40 percent of the world’s mobile traffic through their networks — mobile users are using more data than ever before. The report, in the first states that quarter of 2018, there was a 54 percent increase in data usage from the first quarter in 2017. While that number may seem large, it’s actually smaller than the growth in data traffic over the previous four quarters, which saw growth between 65 and 70 percent. The study also predicts that data (measured by exabytes per month) will increase by almost eight times its current usage in North America by 2023. The biggest culprate appears to be video. According to Ericcson, video currently makes up more than 50 percent of mobile data traffic, driven by increased viewing time, more embedded videos in other media and the evolution toward higher resolutions. For residents and visitors, dropping calls, receiving voicemails a day late or not being able to check their email can undoubtedly be frustrating. But the relative lack of coverage is also a public safety concern. Summit Fire & EMS Chief Jeff Berino said that the coverage is affecting their ability to respond to calls in Frisco as efficiently as they would be able to otherwise. Berino said that the department utilizes computers in their fire engines that run off mobile hot spots, which give firefighters information about hydrant locations, fire alarm panel locations and building preplans that provide schematics and pertinent information that could help in a fire or emergency situation. Jerry Del Valle, director of the Summit 911 Center, agreed with Berino’s comments. In response to a number of complaints from residents in town and the Federal Communications Commission, Verizon submitted an application to construct a new cell tower in late August, tentatively planned to be built atop the Frisco Centre building on Main Street which houses Omni Real Estate and Taqueria At The Clubhouse. Frisco approved the application in September, and approved a modified application earlier this week. Katie Kent, planner with Frisco, said that the next step is for Verizon to submit building and electric permits to the town and county, as well as receive approval from the property owner and get a license agreement in place. Once the preliminary aspects of the project are in place, construction of the tower should be completed relatively quickly.